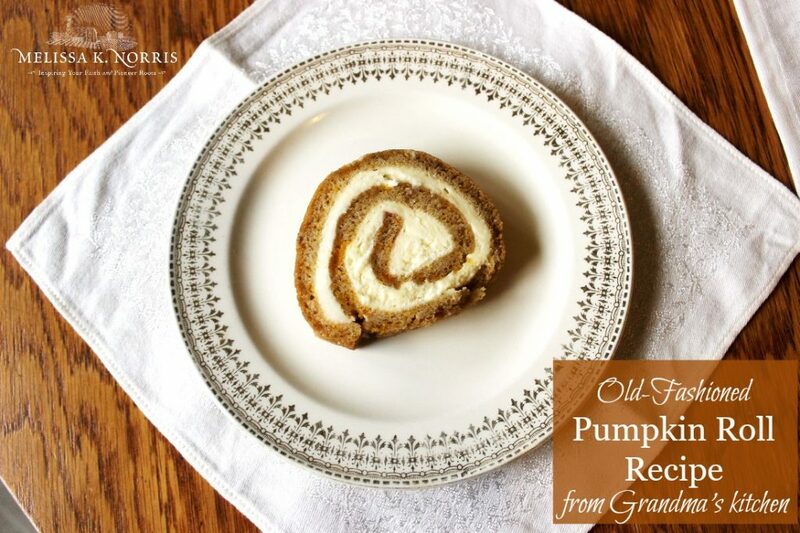 This easy pumpkin roll recipe is straight from Grandma’s kitchen and is made with fresh pumpkin puree. This is an easy pumpkin roll recipe with cream cheese filling that brings you the marriage of a cheese cake with pumpkin spice… aka, the best thing you’ve ever had. No joke! My husband’s grandmother is known for making these pumpkin rolls, in face, I think she could open a business and stay busy year round. She’s actually had people place orders for them, it’s that good. The first time I decided to tackle this recipe myself, I packed up the kids and my pumpkin puree and went to Grandma’s house for a lesson. 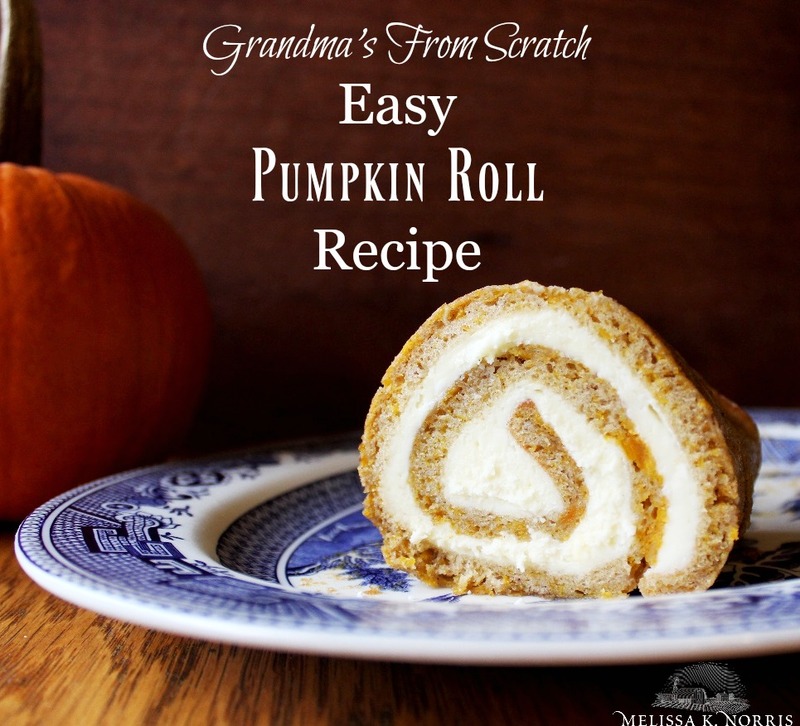 Because let’s be honest, the rolling part kind of intimidated me, and I wanted to learn how to roll a pumpkin roll without cracking straight from the get go. 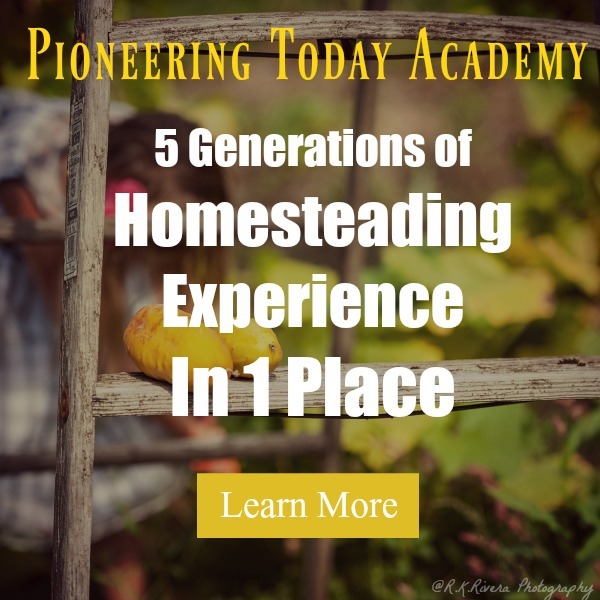 Now, not everyone can hop on down to Grandma’s house for a lesson, but that would be one fun party! Lucky for you, I get to share her tips and recipe with you. 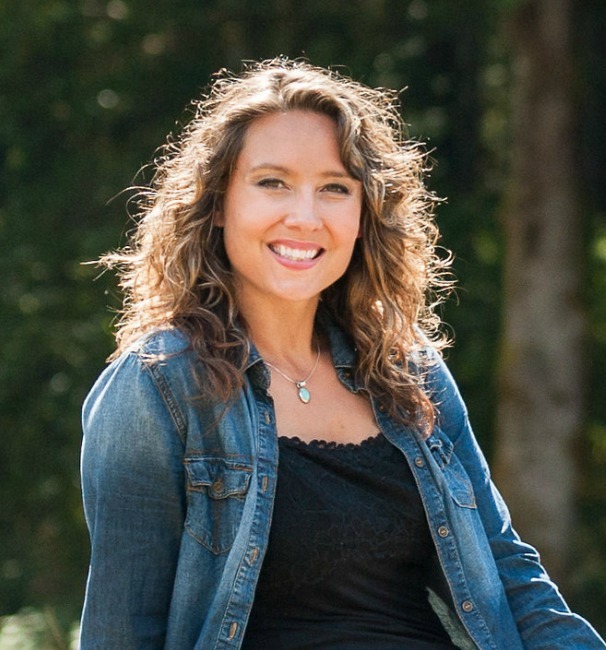 Want more of Grandma’s, my great-grandmother’s, and old-fashioned baking tips and recipes? 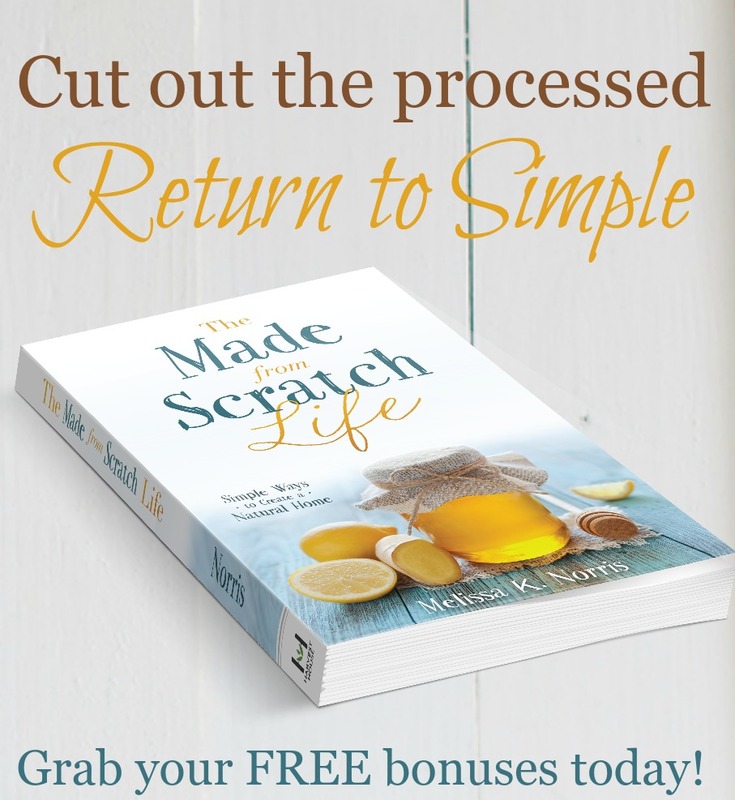 (the answer is yes, one can never have too many time tested delicious from scratch recipes) then go here to get all of them in Hand Made: the Modern Guide to Made-from-Scratch Living, including our bonus videos on how to make homemade doughnuts from scratch! While one doesn’t need an Instant Pot to make this, it makes cooking up a whole pumpkin to puree super easy. Just pop it in whole with 1 cup of water for 16 minutes, manually release (careful of the steam), once the pumpkin is cooled, slice it open easier than hot butter, scoop out the seeds, and you’ve got cooked pumpkin ready to toss in the blender. I use about 2 cups of cooked pumpkin with a 1/4 cup water and blend it up! 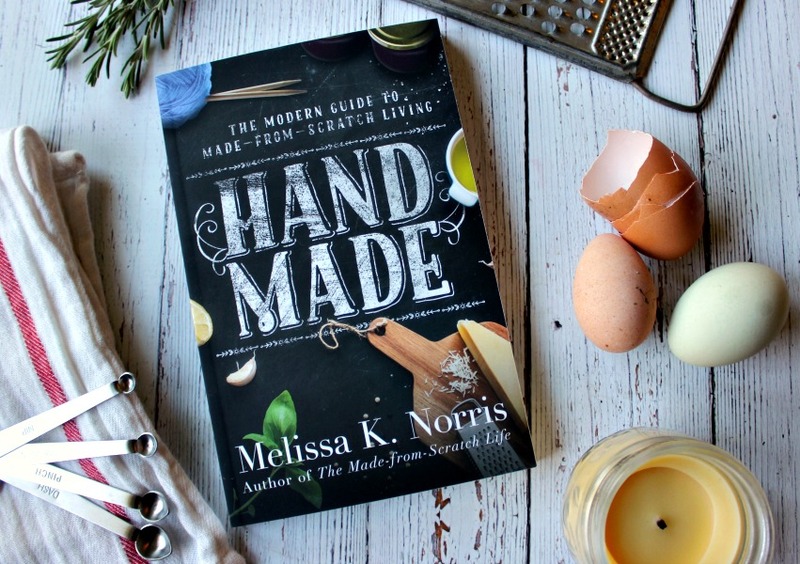 Learn how to make it from scratch with ease with your copy of Hand Made: the Modern Guide to Made-from-Scratch Living just like having Grandma in the kitchen to make sure it turns our right! 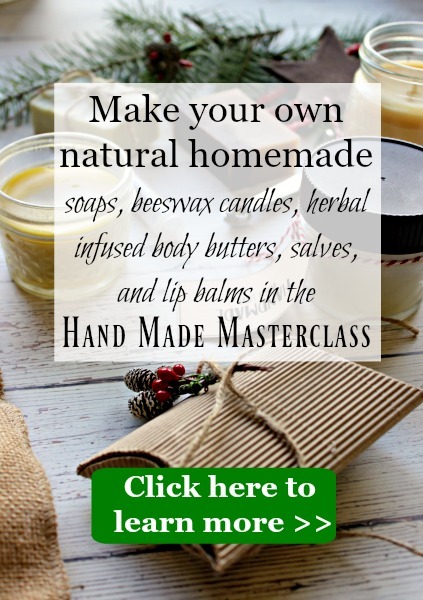 Grease and flour a 15×10 inch jelly roll pan with coconut oil and be generous with your grease. Mix together flour, baking powder, salt, and spices. Beat eggs for 5 minutes (yes, the whole 5 minutes) until light and foamy, cream in sugar and cooked pumpkin. Then stir in dry ingredients and stir until combined. Bake for 13 to 15 minutes, until cake is done. Place a clean flour sack or tea towel on the counter and sprinkle with a bit of powdered sugar. As soon as the cake comes out of the oven, run a butter knife around the outside edge of the cake to separate it from the pan. Immediately, using hot pads, that cake is hot, turn the pan upside down over the prepared towel. 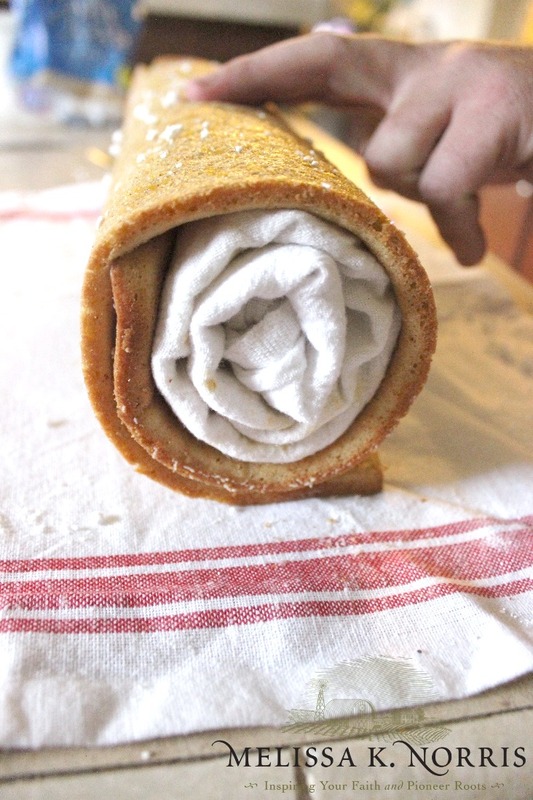 As soon as cake is out of the pan, place another clean flour sack towel on the short end of the cake and roll up like a sleeping bag. Cool on a wire rack for about 30 minutes. Prepare your filling by creaming together the cream cheese, powdered sugar, softened butter, vanilla, and maple syrup. Unroll cooled cake and smear the filling evenly over the surface. Reroll the cake, cover, and allow to chill in fridge. Before serving, sprinkle with powdered sugar if desired. Feel free to play with the amount of sugar and cut it back, especially in the filling. I’ve been known to use half the sugar and wee bit of Stevia. 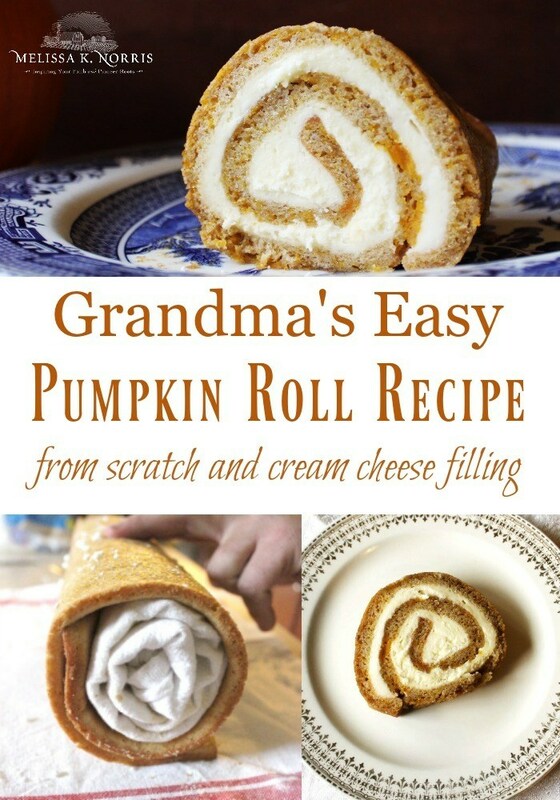 Extra tip, you can make this easy pumpkin roll recipe and freeze it ahead of time!